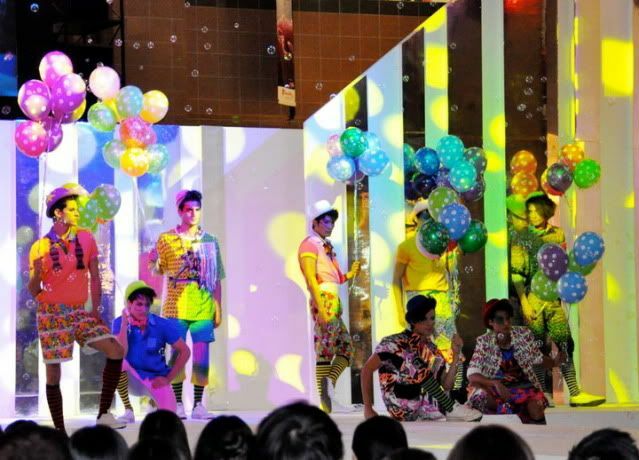 Here's my update on the 2010 New Paper New Face finals held on the 7th of October at Takashimaya! 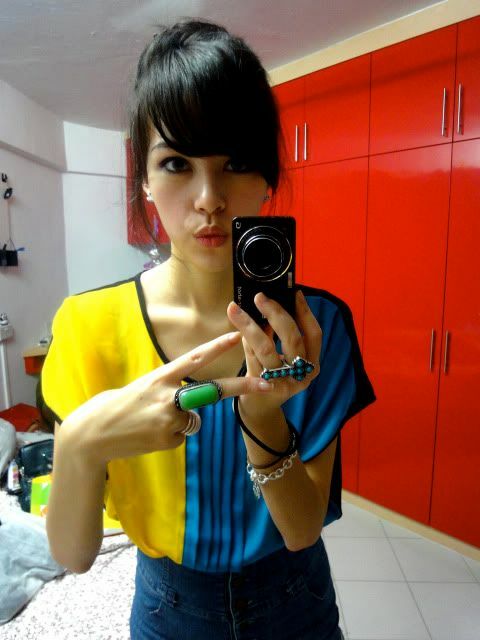 Remember how in my New Paper photoshoot I picked Vivien Ong to be this year's winner? Haha well guess what?! (Okay lah sorry this is old news already haha) SHE WON! When I was choosing a winner from the usual New Face centrespread I asked about the heights and catwalks of the girls whose photos I liked and eventually picked Vivien (: On the actual day of the finals she was very confident and bubbly and that really helped her stand out! There were a few others who had good catwalks too but some just looked a bit deadpan :/ I think they were really nervous? I know how when you're really terrified you can feel your smile quivering and it feels so unnatural! 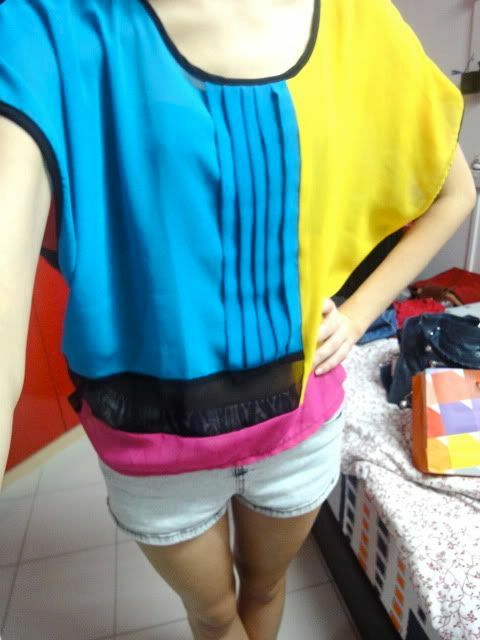 Anyway this top has a sheer back (see later picturez) and is from Kidzundercover! My silver spiral ring is from Marc by Marc Jacobs while the green stone and blue connector cross rings are both from F21. Bracelet from Tiff & Co., birthday present from the boyfriend and my earstuds are from Chanel. Oh right sorryz one more photo of the top haha. There's a pink section at the bottom which you obviously can't see since I was wearing high-waist shorts and also a small sheer black panel there. M.A.C stuff from the goodie bags! Haha every year I look forward to the 1) male models and 2) goodie bags. 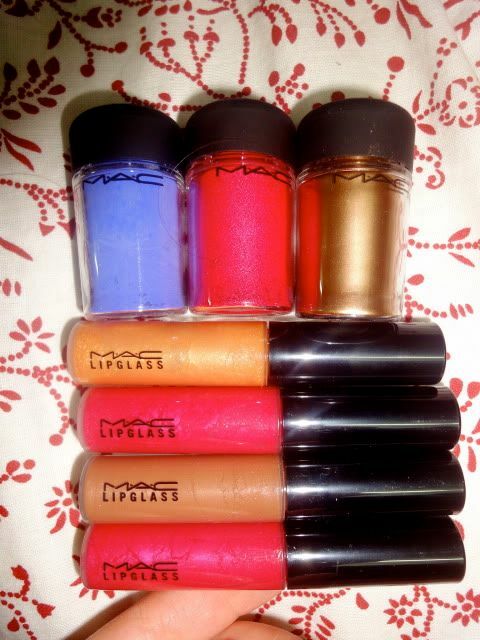 I still have M.A.C stuff from last year's NPNF finals which I haven't even opened! Emiko, Cassandra, me, Nargis (NPNF winner 2006) and Christabel Campbell. Boyfriend! Haha think he was quite bored after the show because he had to sit around or help us take photos. Anyway so this is the sheer back, and those are my new black suede wedges! 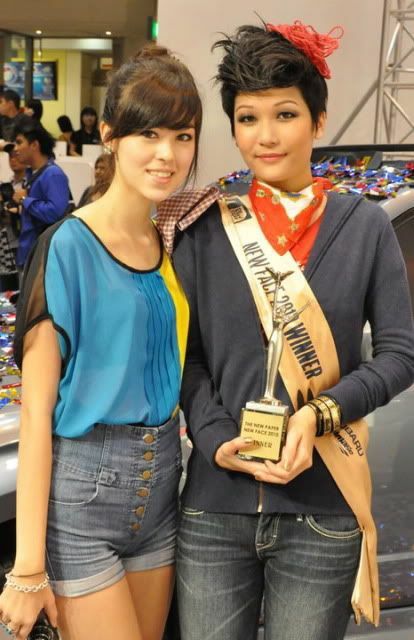 With Victoria (NPNF winner 2009). And here's with Vivien, NPNF winner 2010! Anyway all the following photos are from Facebook. I gave up trying to take photos during the show before 1) I'm usually late and 2) People with DSLRs are gonna take better ones haha. This is backstage with Vivien and Irina on the left. On the right are two of the judges, model Sheila Sim and actress Dawn Yeoh. 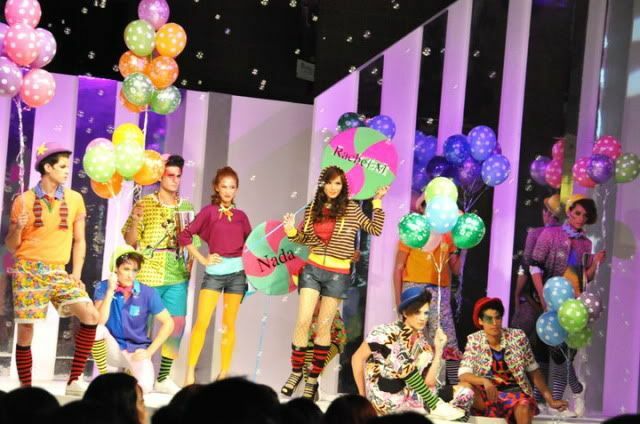 Dawn Yeoh is New Face alumni too! The outfits and themes just keep getting better every year! Sigh it's so unfair!!! Dawn Yeoh and choreographer Daniel Boey. I think she looks really pretty here! 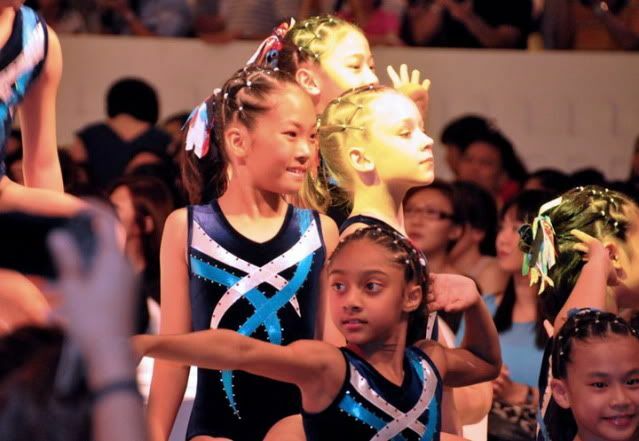 There was a performance by these little artistic gymnastics girls and they were really good! Haha so cutesy. I really liked this segment! The outfits and the cute music + the bubbles made the whole sequence really enjoyable to watch! And the presence of the male models obviously didn't hurt haha. The two eventual 1st runner-up and 2nd runner-up respectively in the middle (Nada and Rachel). This was for the announcement of the results already. Vivien won one of the subsidiary awards first (haha the winner usually wins one subsidiary award first) (but anyway there are something like at least 5 subsidiary awards now so it'll be hard to spot the winner still!). Rachel also won a subsidiary award. Haha when Vivien was announced the winner! 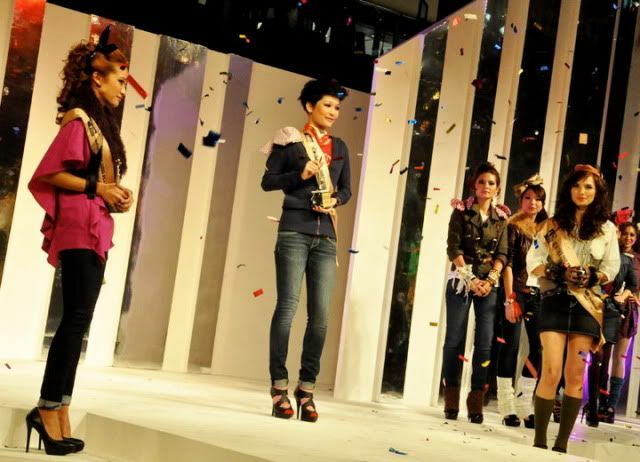 L-R: 1st Runner-Up Nada, winner Vivien and 2nd Runner-Up Rachel. Haha there was this super cute little girl that just kept prancing up and down the catwalk after that for ages! And Christabel and Nargis in the background. This is Vivien and I, and p.s. I hate taking photos with my right profile haha. I just hate how my fringe turns out! So yep that's it for NPNF 2010! Every year the sentiments of missing how it felt - the rehearsals, chatting with other contestants, being able to catwalk, dressing up in pretty clothes and high heels... etc - they're always the same so I'm bored of blogging about that every year. I just can't believe I've been a New Face winner for 5 years already, omg! And like... I'm only 20 years old and the NPNF winners 3 or 4 years after me are the same age as I am! Haha weird. SupermodelMe works similarly to America's Next Top Model, in which the girls have to complete modeling challenges, with elimination rounds along the way. In the later part the contestants will live in the same house for the duration of the show. 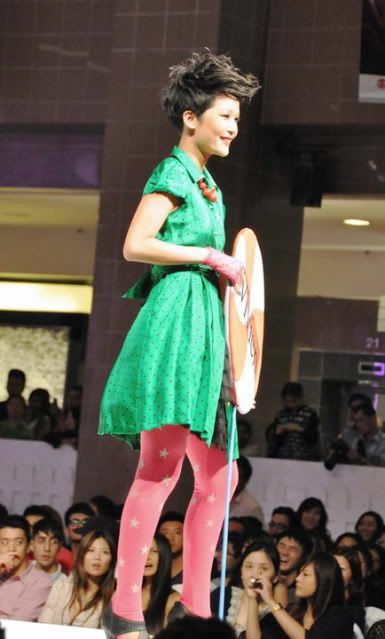 SupermodelMe isn't limited to Singapore and in fact consists of contestants from Asia and Australia. 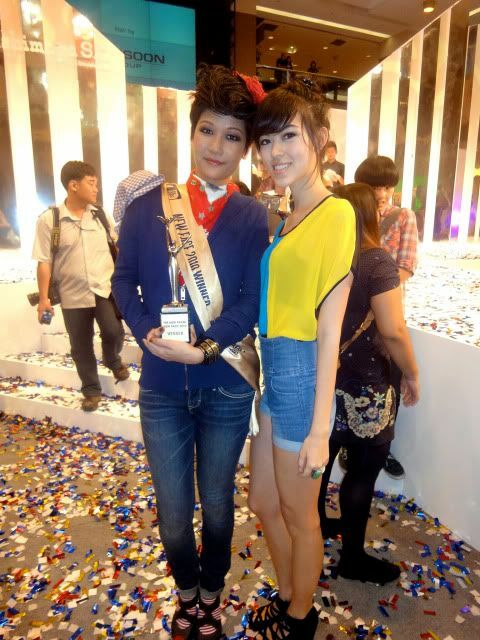 Last year's winner was Evelyn Leckie from Australia, with the 1st runner-up being Christabel. Season 1 was only available for watching online (which you can find at the website) while Season 2 is going to be aired on tv, but I think it'll only be available for cable subscribers :/ Guess I'll have to catch it online!